What do you want? Don't look at me. 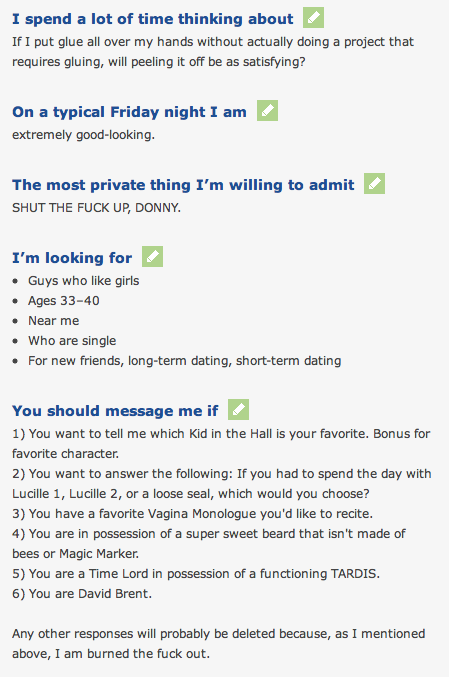 So, I'm still pretty burned out on this whole OKCupid thing. 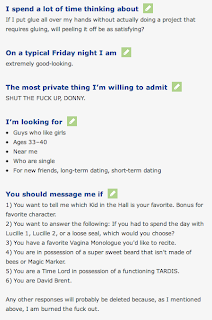 I've gotten one message in the past [almost] three weeks, and it was from a guy who was like, "Hey, I don't know any of the things you mentioned in your profile, but do you want to go out?" And I was like, "No." But I said in the most subtle way possible, which is by not responding at all and then eating all the things in my freezer. 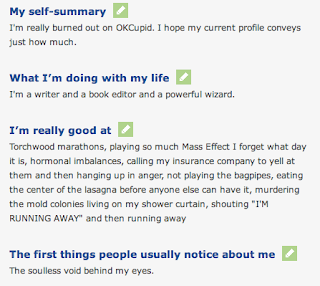 What do you do when you're burned out on OKCupid? 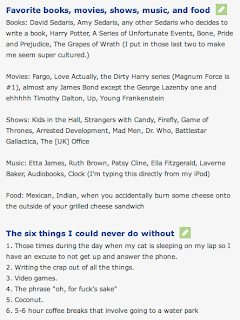 Why, you put up a profile that says just that. 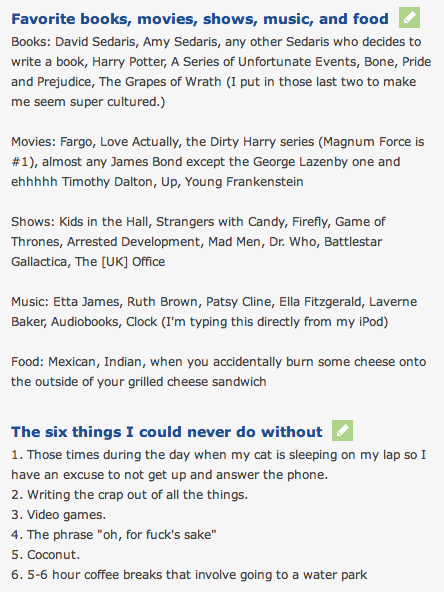 This is my current profile. I'm leaving it up just a bit longer and putting a new one up on Monday. 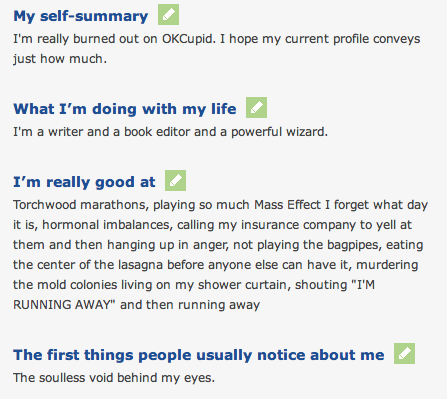 In the meantime, I hope you enjoy how burned out I am. This is the face I make when people use "lol" to end their sentences. monogamy because no one woman can satisfy me." on surveillance cameras in 1980s Beirut. This is the face I make when I watch Steel Magnolias. DEAL WITH IT. This is the face I make when dudes don't respond to my messages.